Where shall I start… this yummy denim is from Birmingham rag market (from that day I went insane and bought ALL THE fabric). It feels very good quality, has a slight sheen with gorgeous orange undertones. The fabric is almost completely orange on the reverse – the magic of a twill weave. The denim might be a touch thin for jeans but I think it works ok. The fit is good enough for me too. For my topstitching I actually used two spools of regular thread fed into one needle as I had an orange I wanted to use rather than a thicker topstitch weight. I love my pocket arches! This is my (sort of) second pair of jeans. 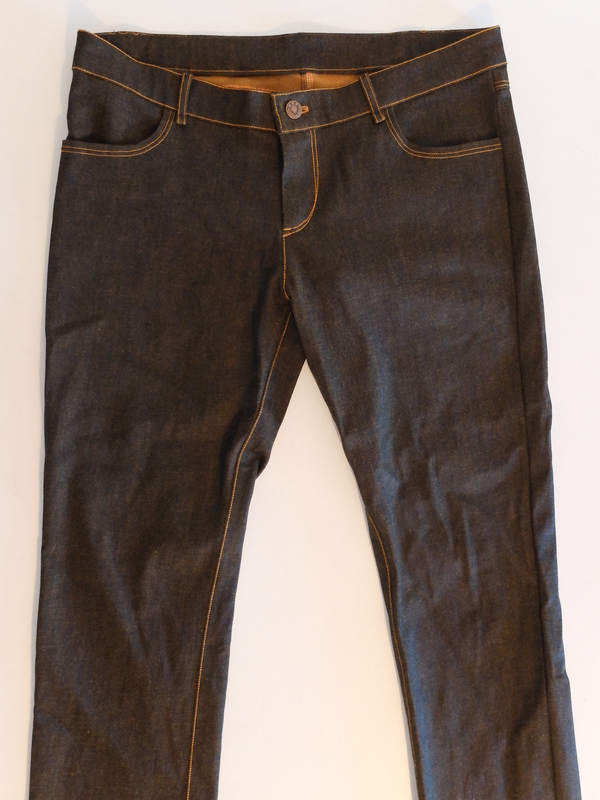 My first pair never made it onto the blog because the denim was awful quality and I never wore them. When I finished this new pair I threw the old pair out. 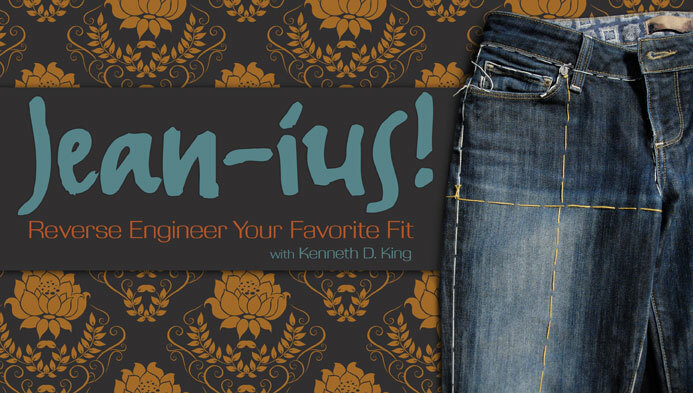 I used Kenneth D King’s Jean-ius course on Craftsy which is absolutely fantastic and educational. To put it simply, you make a pattern by copying your favourite jeans and get the chance to make fit adjustments and customisations! 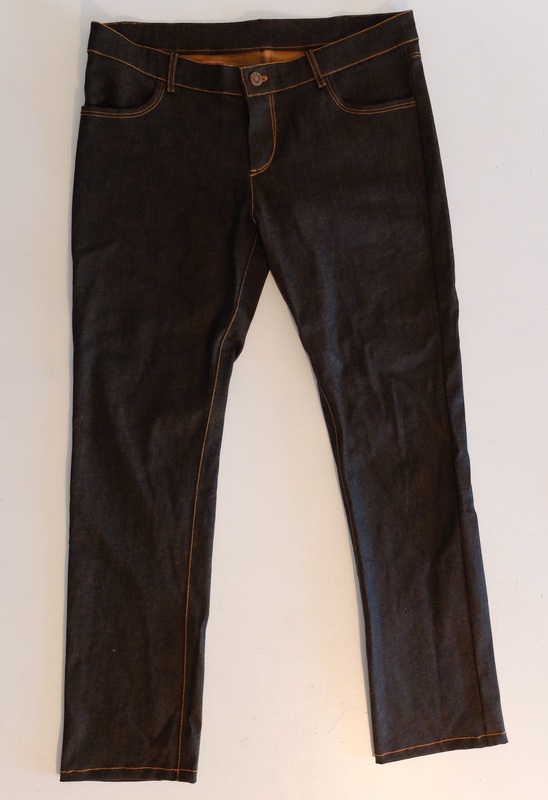 My original jeans are the Topshop straight leg “Martha” style which they dont make any more. Thanks to KDK I don’t have to stress about that anymore! In case you don’t know, Kenneth is very well mannered with a no nonsense attitude. He points out that sewing shouldn’t be a series of rigid rules you must follow; there are lots of ways to get things done. So it wouldnt surprise him that I did my own thing a couple of times during the making of the jeans! 1. I changed the construction order so I could topstitch my inseam, NOT my outside leg seam. My RTW pair had this styling and I think it makes them look smarter. 2. I made a larger fly shield compared to the one KDK suggested and I honestly regret not making it even bigger! It’s about 1cm smaller than I would like. In terms of the course modules, the drafting of the copy was pretty easy, if a little time consuming. I’ve done rub offs with tracing paper before (using Steffani Lincecum’s technique – she’s also a Craftsy instructor but I have her book) but organza is best if you can afford it every time! FACT: KDK’s fly front zipper tutorial is impeccable. Seriously good stuff. But that said; I would have liked to learn a bit more about topstitching. Namely there’s no mention of topstitching the outer edge of the fly, just the curve and crotch seam (from below the zip). I couldn’t work out at which stage I should be topstitching that part – possibly just after installing the fly facing and stopping where the zip should stop? I think that element being missing sets of a little niggle in your brain that the jeans don’t look 100% right but you can’t put your finger on why. Or is that just me? 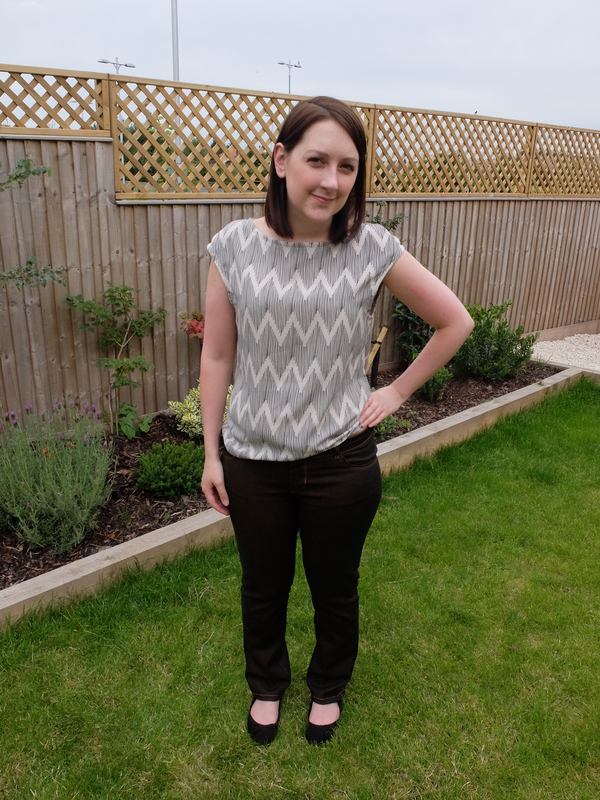 And I know how to do flatfelled seams from my shirt making, but we didn’t learn them in the Craftsy course!? That’s jean-making 101 in my mind. Also I’m mad at myself for choosing my zip poorly. The pull is too large so it peeks out a little and also makes the fly bulge. At least I’ll know for next time and it’s easily resolvable. Oh yes there will be a next time. 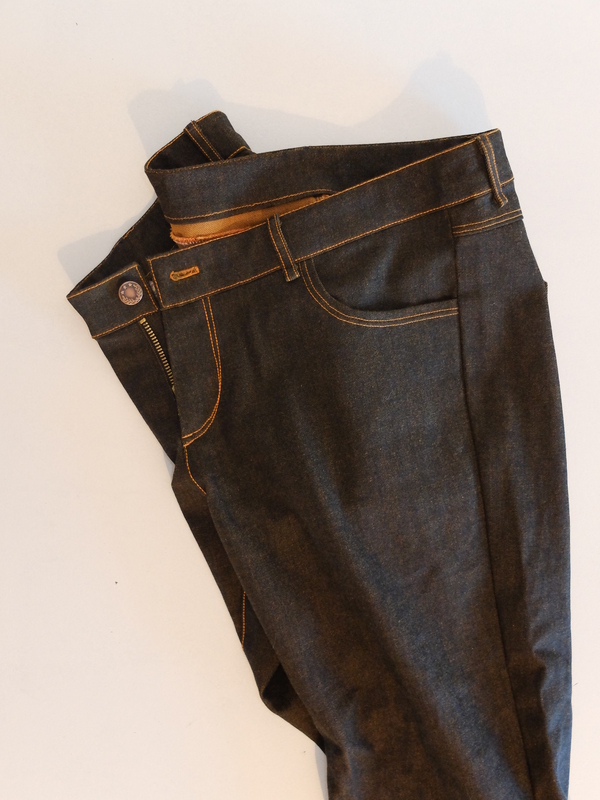 There is some lovely quality denim online at The Splendid Stitch, with a good dark navy colour and small degree of stretch. I have plans for pockets with flaps this time too. And a cute coin pocket which I do like seeing on jeans though I have NEVER used one haha. Have you ever used yours? I suppose I ought to add that I used two machines for this project. 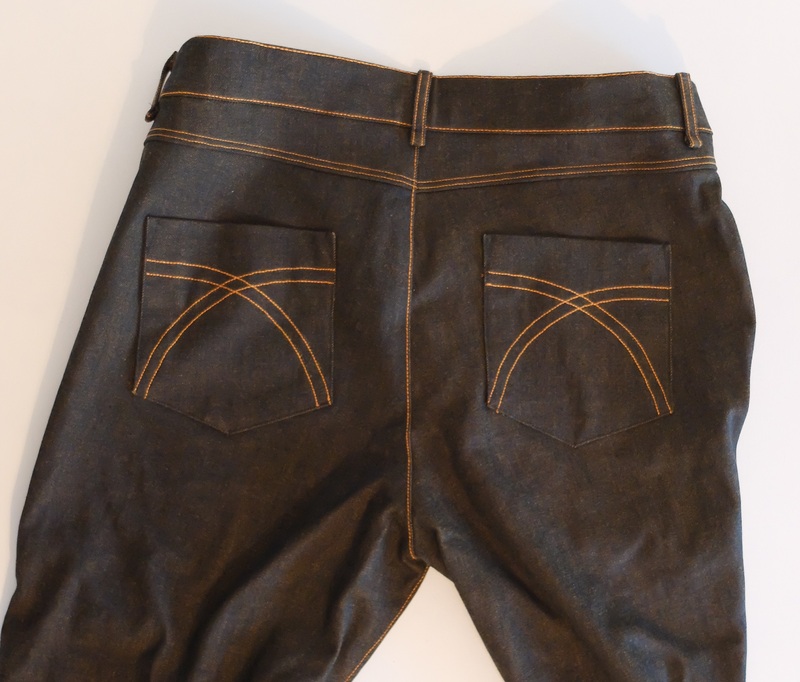 I had my Toyota jeans machine threaded up with black and my Janome SMD4000 threaded with orange. This made things much quicker as I could jump between the two machines without the delay of re-threading. But I don’t expect everyone out there to have a second machine. I just hung onto my original machine when I upgraded, in the hope I’d one day have space for them both. I do recommend it if you have space. It’s very useful to have a machine threaded up with another colour for random emergency sewing or projects like this. So who else has tried the Jean-ius course? There’s a good review on Amy’s blog. 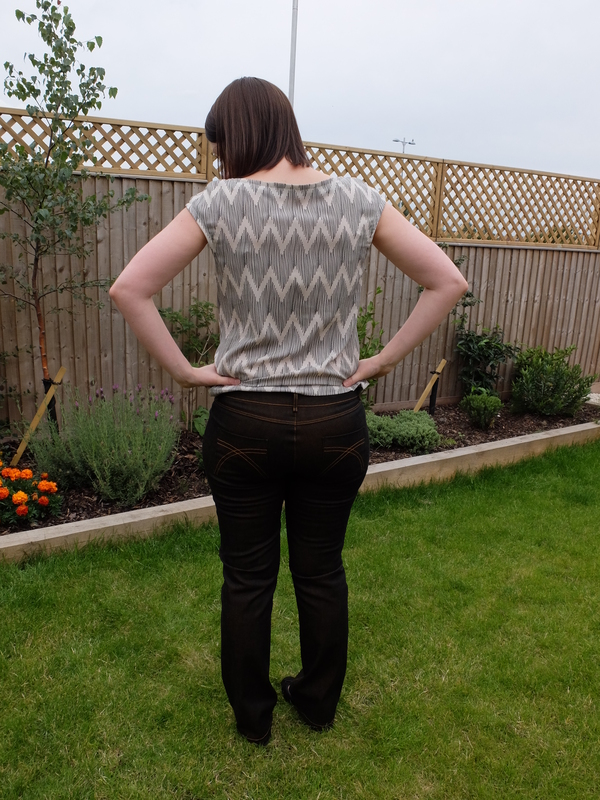 I know a lot of people have made the Ginger jeans as my feed has been full of great versions and Katie wows me on a regular basis with her jean sewing!